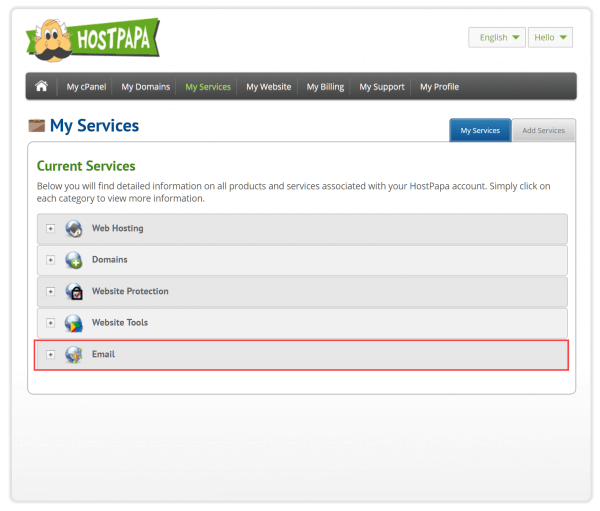 Alongside the email service provided with hosting accounts, HostPapa offers two dedicated email services, HostPapa Basic Email and HostPapa Advanced Email. You can check the email services available on your account via the HostPapa Dashboard. Log in to the dashboard, then select My Services. You’ll be presented with a list of available services. Use the + (plus) button next to Email to expand the panel. You can now review the list of services available on your account. In the example below, you can see that both HostPapa Basic Email and HostPapa Advanced Email have been purchased. Configure your new email setup on your computers/devices. 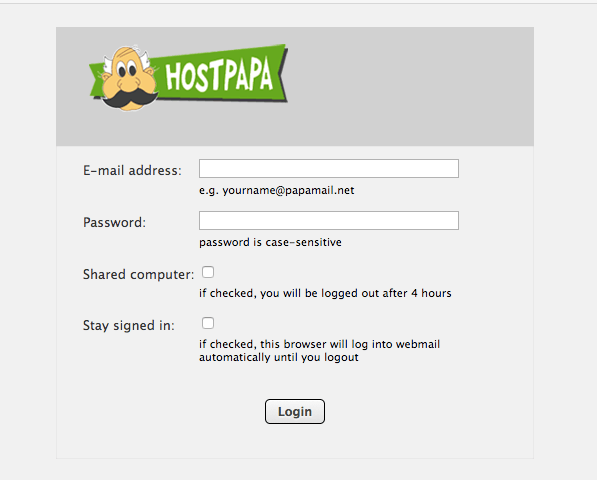 Once this is done, you can access your email at any time, from any web browser, using the HostPapa Basic/Advanced Email webmail interface. Webmail is accessible here: https://mail.papamail.net or via the Dashboard as explained here. You can also watch our video tutorials to learn how to configure email clients.